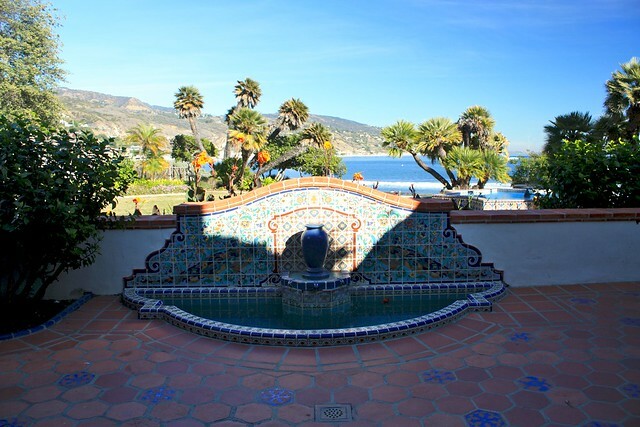 A short and easy beachside hike and stroll along the Pacific Ocean to some of the gems of coastal Southern California – including a beautiful lagoon filled with birds, one of the world’s landmark surfing beaches, and the historic Adamson House. From surfing and sunbathing to birdwatching, sportfishing, tidepool exploration, and a taste of local history, there’s a bit of something for everyone here – even those who don’t really hike. I’ll admit I wasn’t really that excited to write this trail up. Drive all the way out to Malibu for a tiny little park that’s a strip of sand on the coast? But on an unseasonably warm day in November, I headed west toward the beach and was very pleasantly surprised by what I found. After arriving at the small western parking lot, I laced up my sandals and unpacked my camera while those around me zipped up wetsuits and grabbed their boards. The first thing you see when you walk out of the parking area is a small overlook of the salt marsh – it’s enough to take you back to memories of Cape Cod – if you’ve ever had the privilege of exploring the cape’s salt marshes. 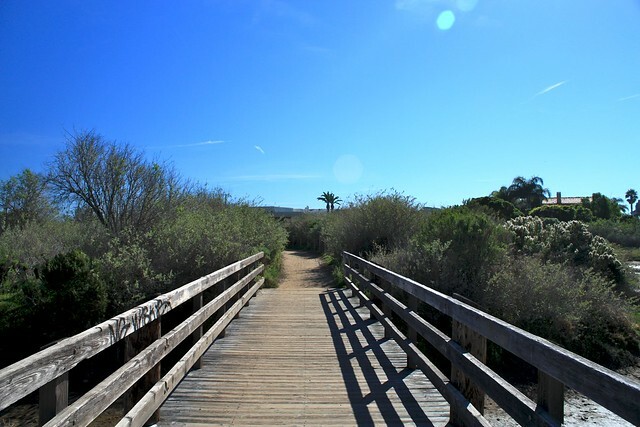 There are some built-in beach chairs here if you just feel like soaking up some sun, but if you’re intent on exploring, walk past the small picnic area and look for a short, broad dirt path crossing some boardwalk bridges. When you reach the beach, you’ll see a lifeguard station and probably a decent number of surfers and paddleboarders. This is a pretty small stretch of sand as far as beaches go, but it’s still popular with the locals. Hang a left and walk along the coast. 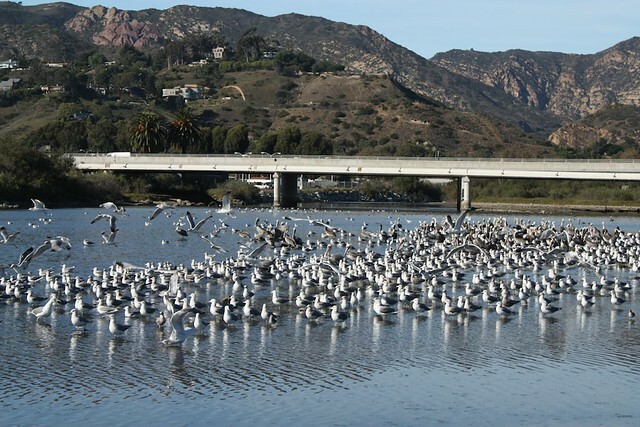 To your left, you will see Malibu Lagoon – and it will probably be full of birds. Depending on the tide, you may be able to walk out a decent distance into the lagoon itself – just be careful not to step on or disturb any of the wildlife. Just grab a seat on the sand (and maybe a pair of binoculars) and enjoy the company of creatures for a little while. 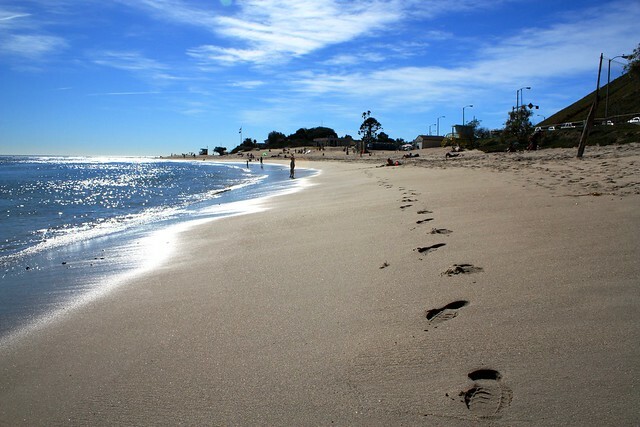 When you’re done, walk back across the sand toward the coast and continue toward the mouth of the lagoon. Again depending on the tide, you may get to see the tidepools here – there’s a rocky area just off the beach that’s also full of sea critters. 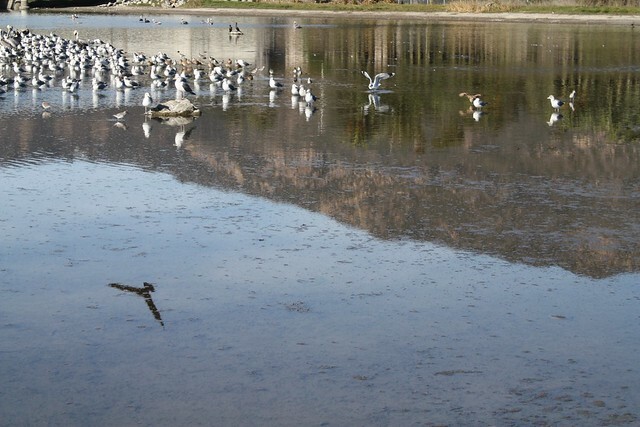 When I went it was still covered in water, but the gulls and sandpipers were still poking around for snacks. Continue along the beach until you get to the mouth of the lagoon. Malibu Creek may or may not be draining into the Pacific through the sandbars here, but if it is it should still be very easily crossable either in sandals or bare feet. 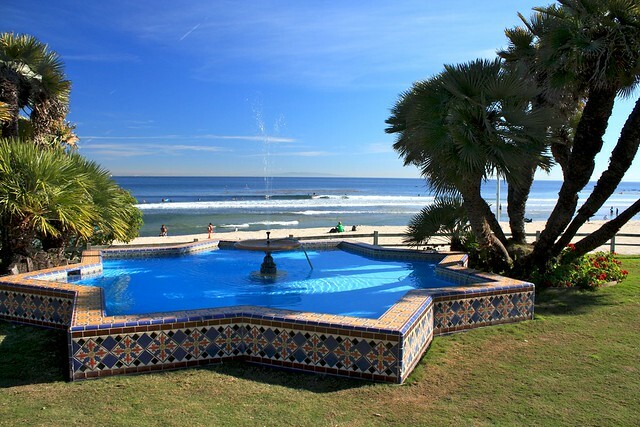 You are now walking along “Surfrider Beach,” one of the historic areas where SoCal surfing culture was born. Apparently the unique shape of the coast and creek here create some long-breaking waves that are immensely popular with surfers – and even on a cold day you’re bound to see a bunch of them in the ocean. Continue along the coast, passing the Adamson House on your left. Don’t worry – you’ll be back for a close-up view in a little bit. The beach turns to the northeast here, and will pass another larger parking area on the Pacific Coast Highway. You’re likely to see a variety of seafaring past-times here, from surfing and paddleboarding to windsurfing, boating, swimming and just plain-old low-impact sunbathing. 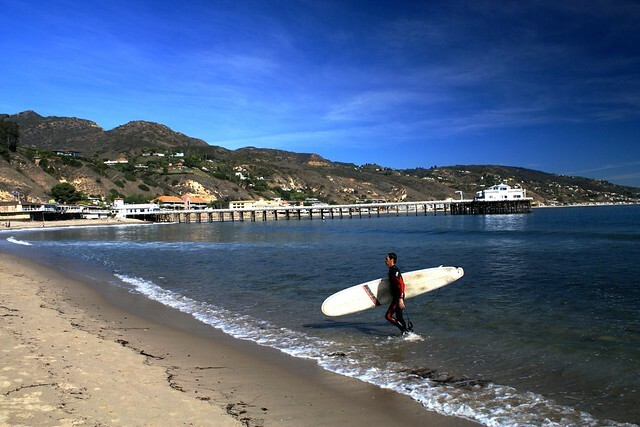 Continue along the coast toward the Malibu Pier. 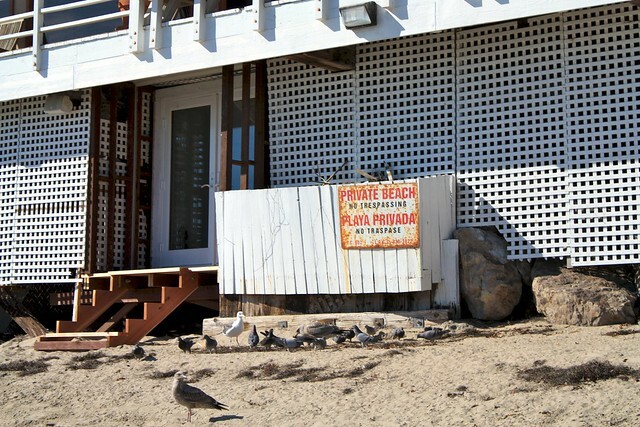 Malibu has long been the site of battles between private landowners and the public over beach access. 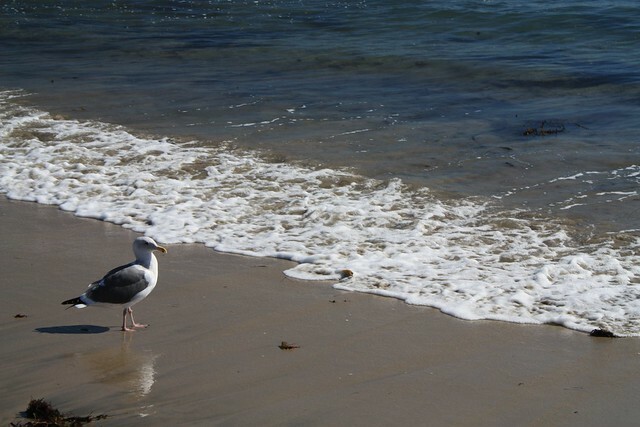 20 of Malibu’s 27 miles of coastline are currently blocked by private homes – but that doesn’t mean you’re not allowed to use the beaches walled off by them. According to state law, any part of the beach below the “median high tide line” is public property – no matter how many signs or seasonal private guards are standing nearby. Basically, if the sand is wet or gets wet, you’re allowed to be there. 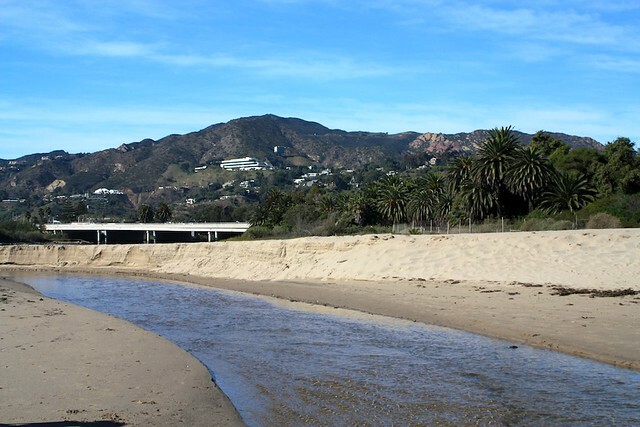 For more information (and directions to some of the lesser-known coastal access points in Malibu), be sure to visit the LA Urban Rangers’ page on this issue. Continue beneath Malibu Pier and look for a small staircase just past the structure. 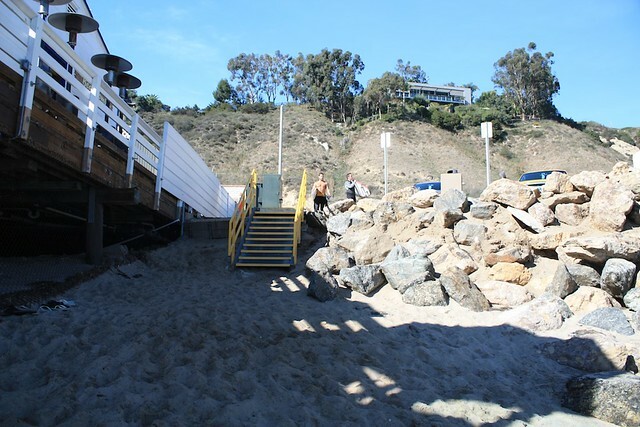 Head up these stairs and take a left at the sidewalk past another parking area to get to the entrance of Malibu Pier. Malibu Pier was constructed in 1905 to provide a shipping route for nearby Malibu Rancho – there was even a private railway in the area, too! The pier was purchased by the state in 1980 in pretty bad shape, but today it’s been renovated and restored, housing a few restaurants, gift shops, and information centers. 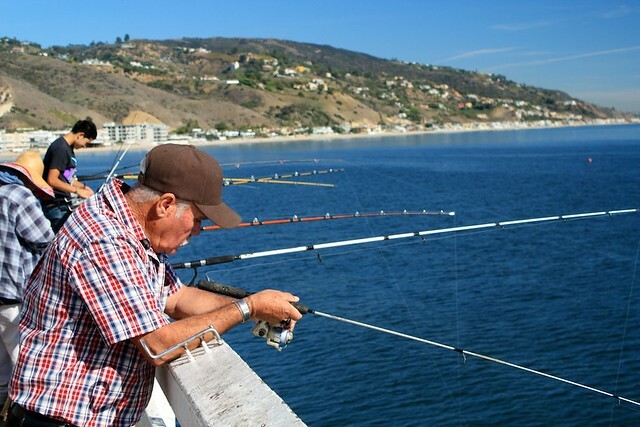 At the end of the Pier, visitors can book tickets for whale watching and harbor tours and even buy bait for pier fishing, too. When you’re done soaking up the Pier’s nautical ambiance, head back to the PCH and take a left. 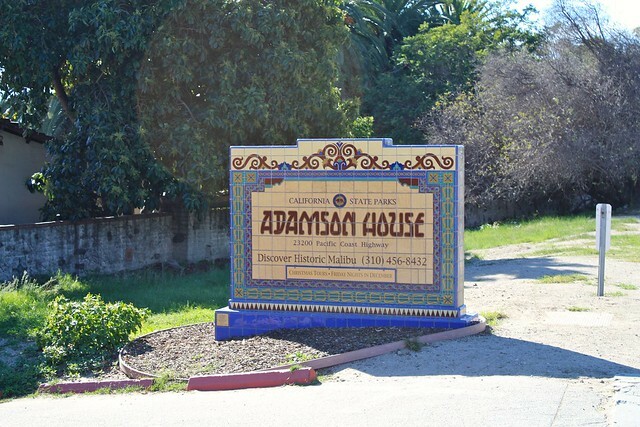 Walk along the sidewalk until you get to the sign for the Adamson House. Hang a left here to step into the grounds. The Adamson House is something I’ve driven past probably dozens of times but never actually stopped in until this trip – and it is well worth the detour. The Adamson House offers some docent-led tours of the estate Wednesday through Saturday from 11AM to 3PM, with the last tour starting at 2. If you’re not there during those hours, though, you can still take a self-guided walking tour of the grounds and exterior – which is still very impressive. The house was built in 1929 and was placed on the National Register of Historic Places in 1977. 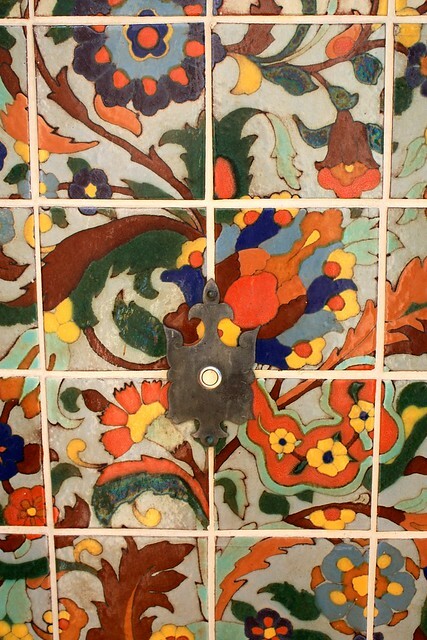 It features one of the best remaining collections of decorative tiles from Malibu Potteries, which was in operation from 1926 to 1933. 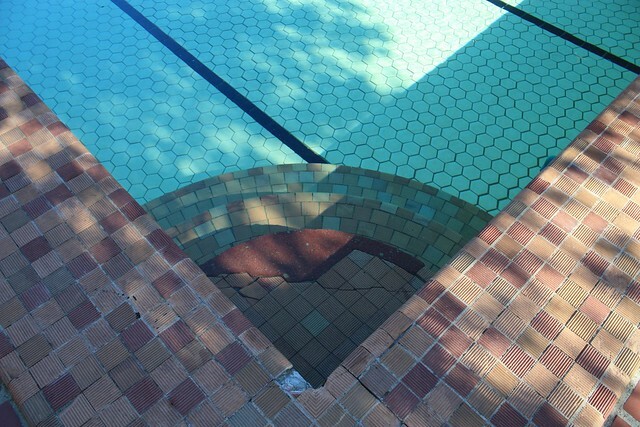 And when I say this place is full of tiles, I mean this place is full of tiles. 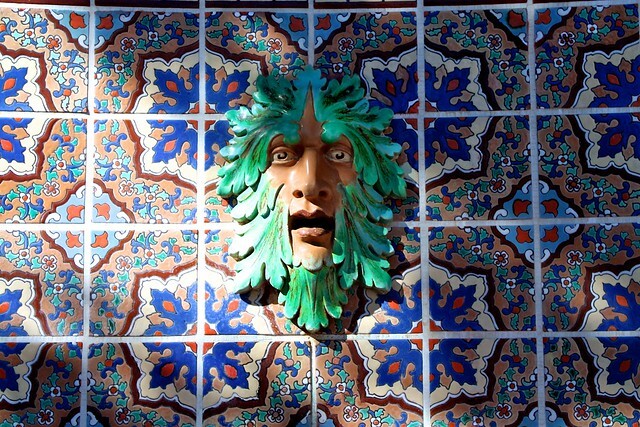 One of the bathrooms in the house is even completely tiled – floor to ceiling. Even if you’re not a pottery or architecture junkie, the grounds have some breathtaking views and the scenery is tough to beat. Just take a walk around and soak everything up. 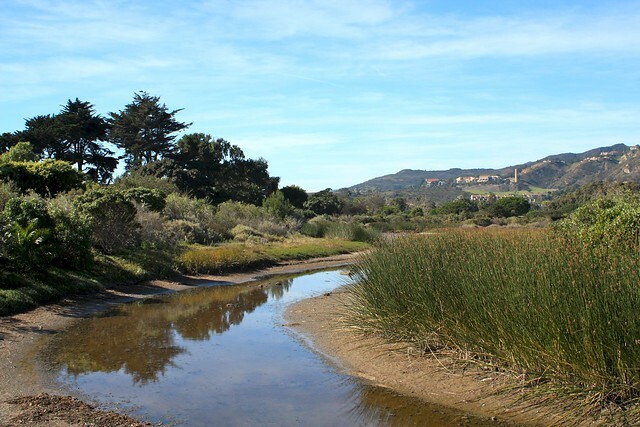 When you’re done enjoying the Adamson House, head back out to the Pacific Coast Highway and cross the Malibu Creek bridge to return to your parking area. There's not really a trail, per se. But it's very difficult to get lost here - just walk along the Pacific Coast, then walk back along the Pacific Coast Highway. 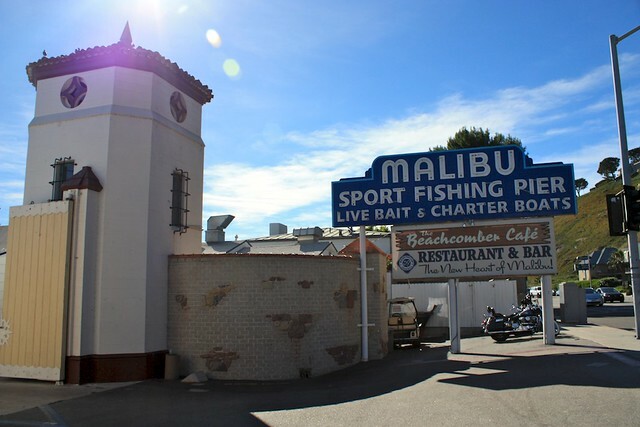 Take the Pacific Coast Highway to Malibu and park at the Malibu Lagoon State Beach parking lot at the corner of the PCH and Cross Creek Road. At the time of this writing, parking was $12 per vehicle. Transit accessible via Metro bus 534. I bet some beach house owners get really mad when they find people on their "private" beach. California beach access laws remind me of Navigable river laws in Texas. In Texas a river is considered public property if the river bed averages 30 feet from its mouth to the point in question. Even if its dry. So you can technically hike up a dry river bed on private property and still be in your legal rights. Even if the river hasn't had water in it for years. The problem is determining where the river bed begins and ends...and that most Texas ranch owners are the type to shoot first and ask questions later.